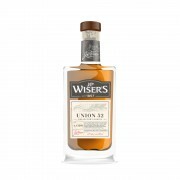 A blend of 16 Y0 Canadian and 52 YO Highland Malt in a ratio of 25 to 1. The Scotch had been sleeping at the Walkerville campus for decades, eighteen barrels that I estimate to have been holding approximately 34 gallons of well-aged whisky. The delicious aroma first greeting my nose is reminiscent of Macintosh’s Toffee, quickly followed by over ripe bananas and candied fruit with a whisp of desiccated coconut, whole cloves, and a hint of smoke. There is no mistaking this for Red Letter. New oak makes its presence known quickly. This is an oak lover’s dram; I am in love. The silky entry presents honey, oaky bitterness and cigar wrapper with a sprinkle of rye spiciness. There is a richness that exceeds previous batches of Red Letter, this might be the extra years in oak or perhaps the long-aged scotch (in a wine-charged cask), or both - peppery tingle fades into a dry, clean finish leaving honey on the tongue and a faint echo of citrus pith. 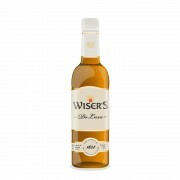 This is another brilliant whisky from Don Livermore and his crew at Wiser’s. Two thumbs up from paddockjudge. I liked this, and, indeed - very oaky. However i found it was only moderately complex so i think it is delcious but falls sub 90 for me. It goes down really easy! @talexander, I did some quick math based on existing Red Letter bonds and came up with 16 years. Most reviews claim that it is 15 years. @paddockjudge, great review. Great whisky. This one is easily 91 points for me, probably more. This bottle was sourced by @Nozinan and brought to Ontario for my enjoyment. It is exclusive to British Columbia.